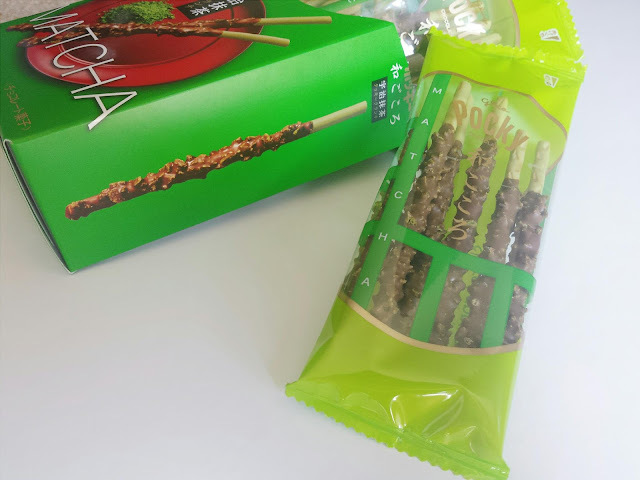 This box came with 4 inner packs, each pack containing 6 sticks, so yes, you don't get a lot of product which is kind of a let down, but I expect it anyways with this type of snack product. Let's get down to to the product itself. 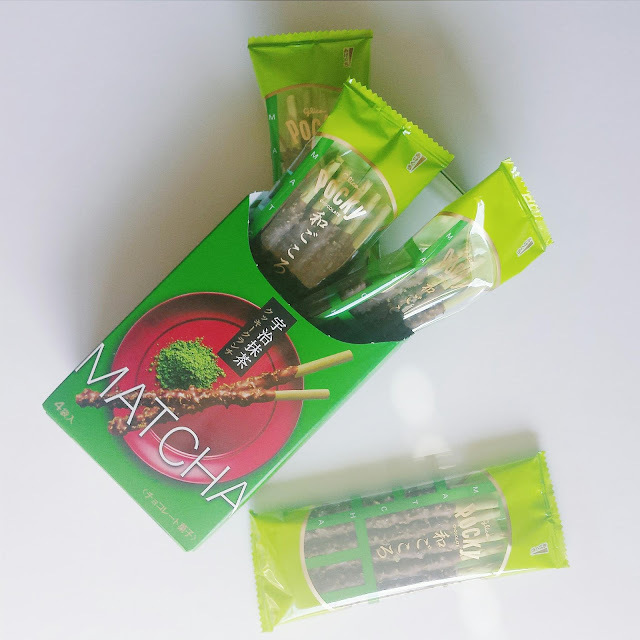 The biscuit is an actual matcha/green tea powder flavored biscuit which I wish had a bit more green tea flavor to it. However, it is dipped in a light milk chocolate along with these 'matcha crunchy cookies.' 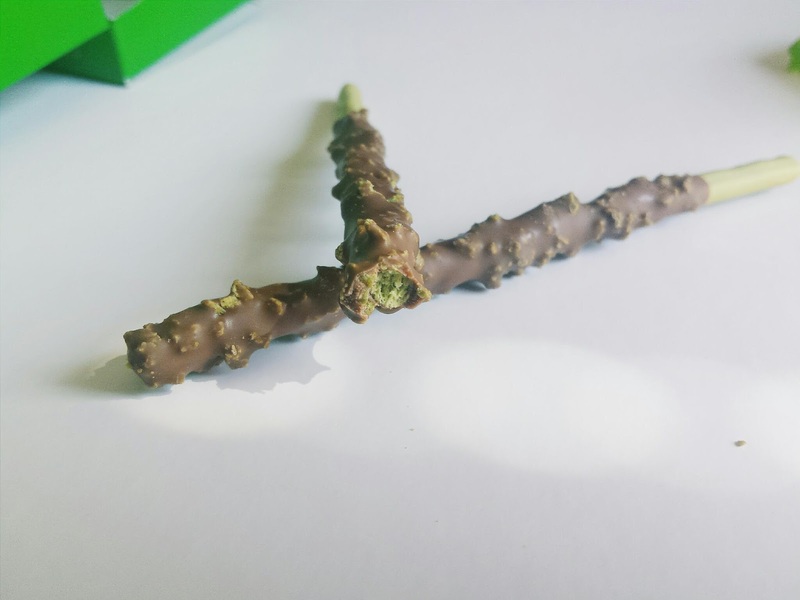 The rough bits you see within the chocolate are the crunchy parts and they add a nice layer of crunch as well as an extra oomph of green tea flavor. 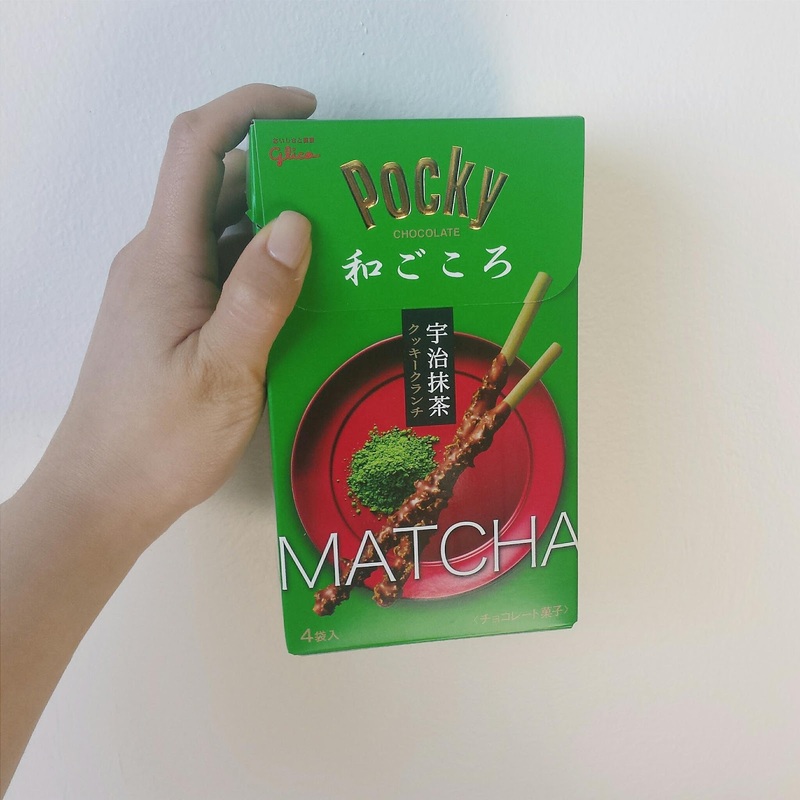 These are definitely the fanciest, high-end, green tea Pocky I have ever tried and these ones are direct from Japan! The verdict: I have to say that even with the price point, I do recommend these especially for all you Pocky/Japanese Snacks/ Green Tea lovers out there. 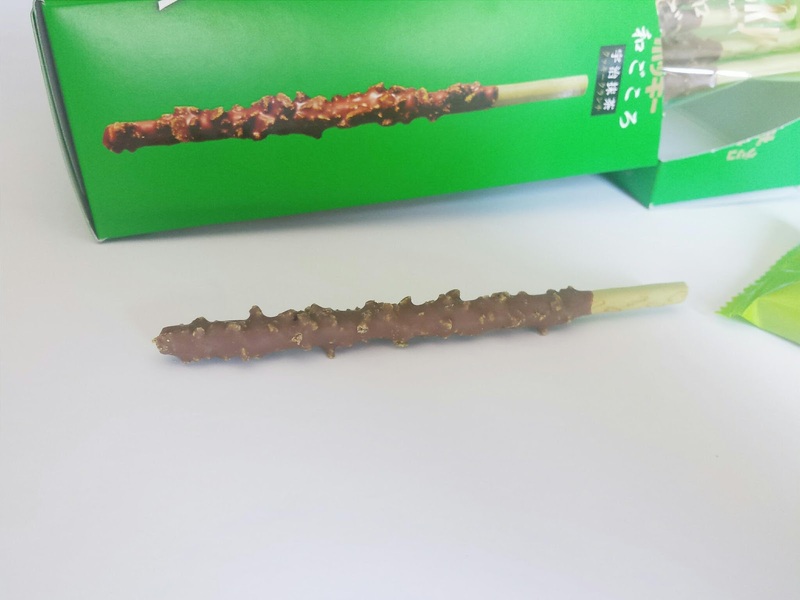 The dessert type Pocky from Japan are harder to get here in the States so I will always recommend getting them if you have a chance because once they're gone, they're gone! I enjoyed these and my mom who isn't really into sweets also found herself loving these too. 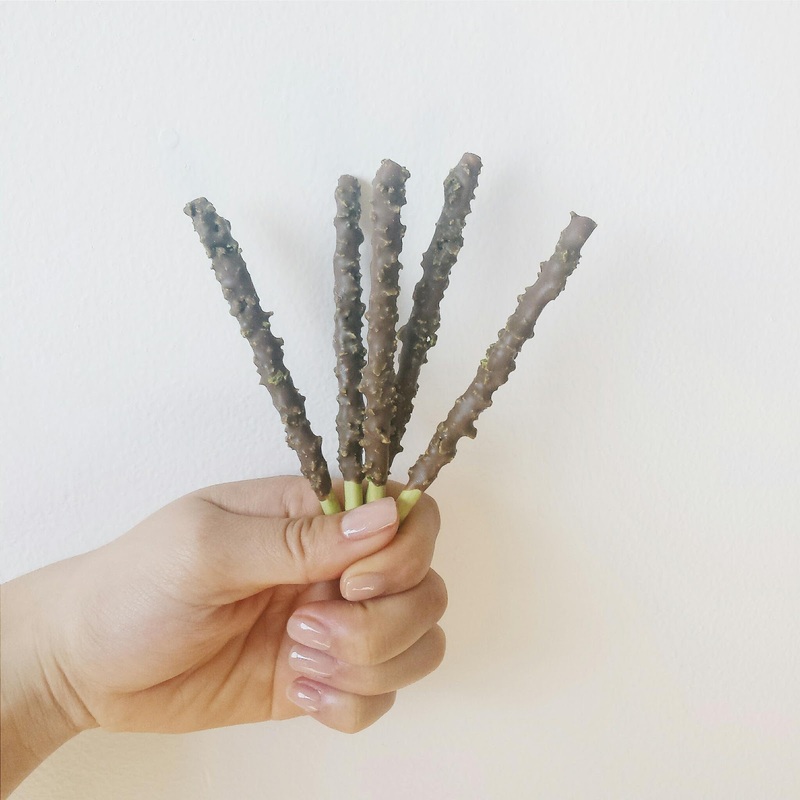 They're definitely more of a treat but I would definitely repurchase it again. Readers, what are your favorite Pocky flavors? Let me know of any unique flavors you have tried!